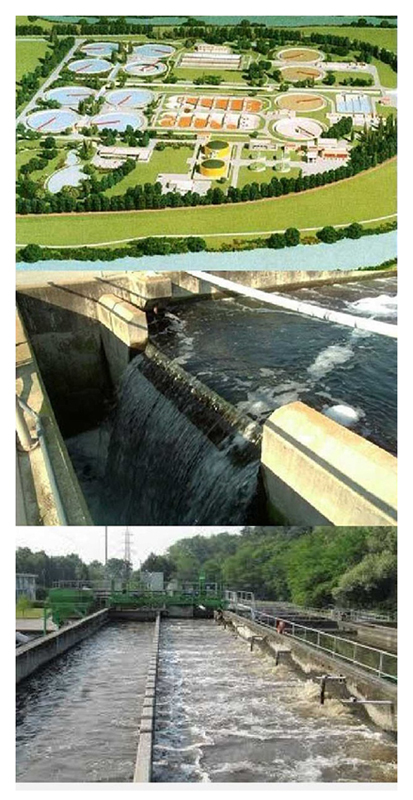 BOD ( Biochemical Oxygen Demand) is the default measure of the efficient operation of a Wastewater Treatment Plant (WTTP) in removing biological material from a waste stream. The BOD is a universal measure of organic pollution in aquatic environments. BOD is the quantity of Dissolved Oxygen required by a control aerobic biological culture to consume any biochemical agents in a quantity of water. Typically the BOD value is measured in milligrams of oxygen consumed per litre of wastewater. The sample is incubated over 5 days at a set temperature. 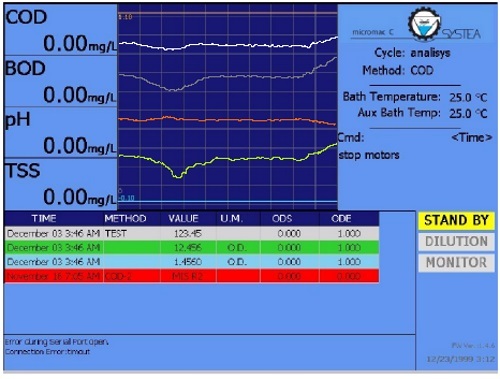 The Micromac Eco is specifically designed for on-line analysis at WWTP (Waste Water Treatment Plants). Using an established method based on a Fluorimetric Tryptophan determination of BOD, the Micromac Eco can determine BOD on line with trend updates within 7 minutes. It is designed for the harsh conditions of a WWT Plant with complete separation of electronics and hydraulics. A microprocessor controlled on-line analyser. The system is supplied with its own self cleaning filtration unit to ensure dirty samples are flushed from the hydraulics after measurement. 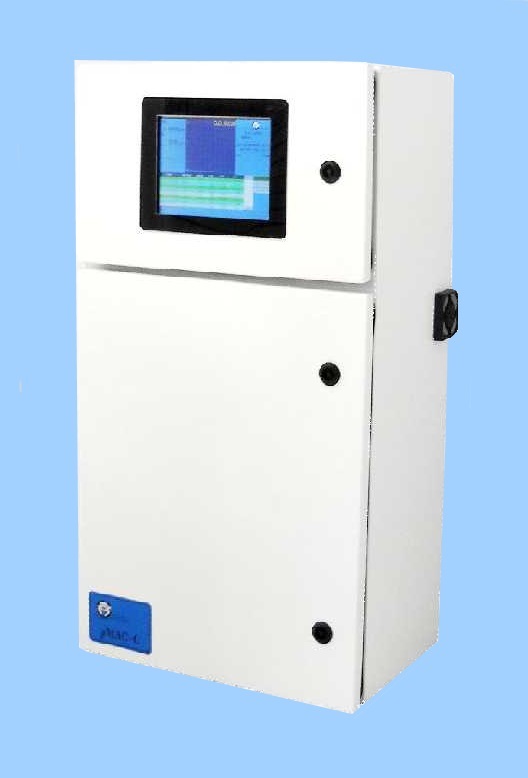 The Micromac Eco is designed to monitor the WWTP outlet BOD/COD discharge loadings. In the event of an out of specification discharge, the Eco automatically will perform an auto-dilution and measure the high loading. Several calibration ranges can be held to cover a wide dynamic range. The self cleaning filter system is designed to withstand the harsh environment of a WTTP with a stainless steel and PVC frame. The cabinet dimensions are 80x45x30cm wall mounted and weighs 25kgs. • Minimal reagent requirement (calibrant & wash solutions only). • Alarm limits set for output to control room or SMS. 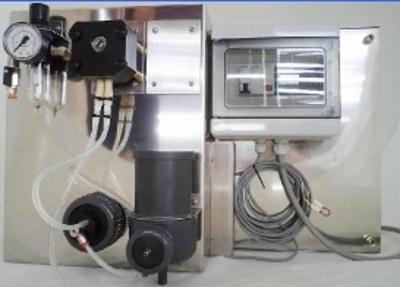 • Wash filtration unit integrated to PLC. COD (Chemical Oxygen Demand) is determined by direct UV reading with turbidity compensation as per DIN 348404-3. Correlation is done with a known COD calibrant. The COD channel can alternatively measure TOC (Total Organic Carbon). Output is reported as mg/L. BOD (Biochemical Oxygen Demand) is determined by direct fluorimetric measurement. Routine calibration is performed with a tryptophan calibrant. Output is reported as mg/L. TSS (Total Suspended Solids) is measured as per ISO 7027 with calibration against a formazine standard. 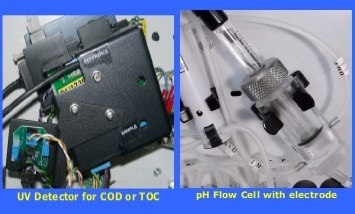 pH is measured with a robust combined pH/T electrode.